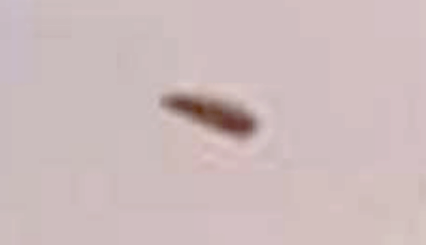 UFO SIGHTINGS DAILY: UFO Over Outback In Australia Shows Classic Disk Shape, Nov 2017, Photos, UFO Sighting News. 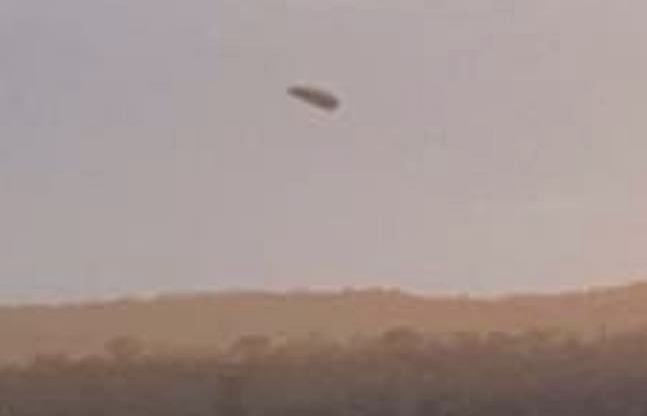 This dark UFO was seen over the Australian outback, which believe it or not, is a hotbed of UFO activity. 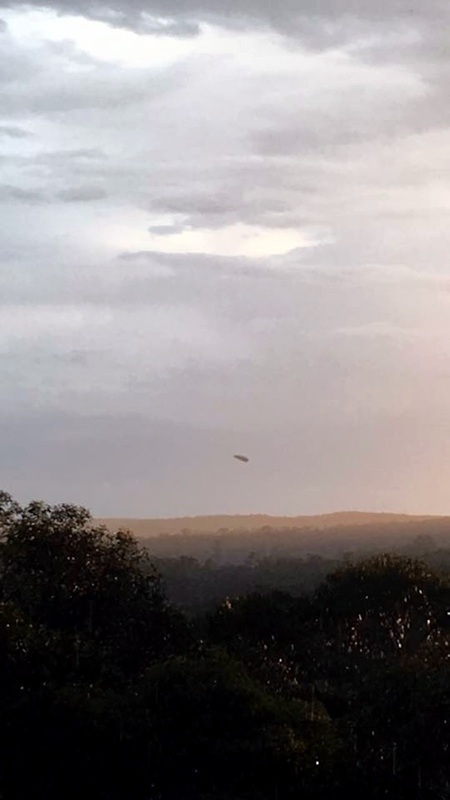 I get lots of comments from people in Australia saying its common place to see a UFO in the outback. This is a great photo of one of those Australian catches. The tilt of the craft shows that it was in motion when the photo was taken. Often disks need to tilt to change directions, but this doesn't apply to all UFOs. The UFO came from the bushes hovered for a few seconds before taking off into the sky in a southerly direction. The photo was taken by the observer and her family while taking photos from their back porch that looks onto the sassafras gully in NSW. All witnesses to the event wish to remain anonymous.